Happy customers are what makes us hop out of bed in the morning. We understand that moving house can be a daunting time, so we make sure the whole experience is as smooth and pain-free as possible. From getting a quotation, to packing and handling your valuables to ensuring you’re all settled in to your new pad – you’ll find us charming and easy to deal with every step of the way. 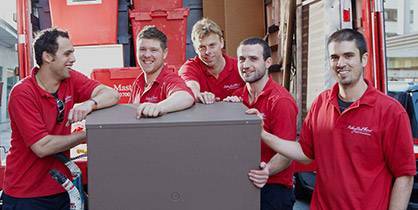 Anthony Ward Thomas Removals in London is an acclaimed removals company made up of bright, professionally trained and friendly people who are as comfortable moving a Matisse as they are a mattress. Whether you’re planning a house move an office relocation or need storage in the London area, you’ll find us flexible, helpful and able to deal with tricky items and locations without getting hot under the collar. We’re one of the most established and trusted removals companies in London and with our dedicated London removals team, we’re able to cover all districts and zones. Historically you would have seen our distinctive red trucks wending there way through, Fulham, Chelsea and Wandsworth. But these days we cover all points of the compass in the capital and beyond. You’ll be delighted by Anthony Ward Thomas’s efficient, reliable and flawlessly professional approach. We’ll take the time to listen to you and work out exactly what your move requires. As well as removals, we also offer excellent storage facilities at our dedicated depot in London. We are used to packing even the most fragile and valuable items as well as shipping all your worldly goods to far flung places. We’ve been busy moving people and businesses in London for years and as a result have built up a considerable knowledge of every part of the city, which means we’re pretty quick at getting from A to B. We aim to disrupt your life as little as possible during your move, so we strategise carefully to make sure things are seemless from beginning to end. At Anthony Ward Thomas, we have a range of removals packages that cover all typical relocation situations in London……..
There’s so much to do in London this October and the Ward Thomas team are keen to pass on some of our favourites…. We don’t just shift people from one place to the next. We help them make their new house a home, carefully packing and unpacking their things, and arranging them in their new home, and we even take our boots off while we do it. If you find you need to clear a little space, our long and short-term storage can come in really handy. We can look after anything from a few bits and bobs to an attic’s worth of valuables. So if you’re moving within central London or further afield (we cover North, East, South or West London too) and you’re looking for a removal firm you can trust, who’ll treat your house with as much care as if it was their own, we’d love to chat with you. 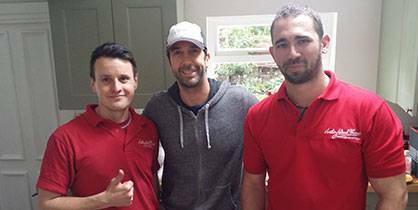 Over the years we have become the best removals company in London. Get in touch to find out why.